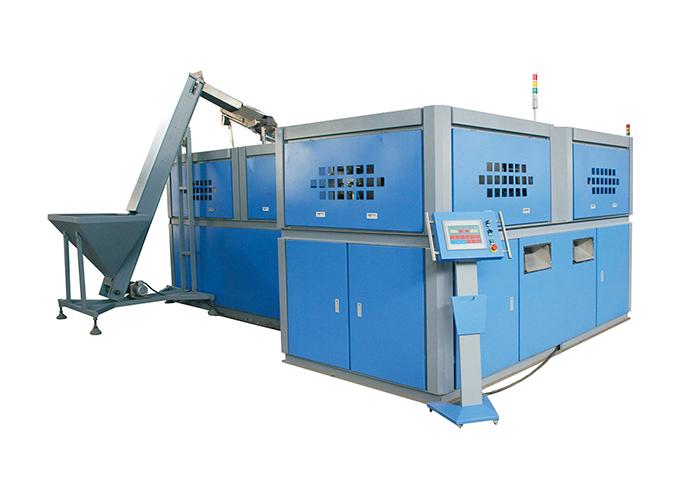 8000-9000BPH Automatic Linear Eight Cavity Pet Blow Molding Machine is suitable for producing PET plastic containers and bottles in all shapes. It is widely used for producing the carbonated bottle, mineral water bottle, pesticide bottle, oil bottle, cosmetics bottle, and hot filling bottle etc. 1)Reasonable design, full automatically control, save power and labor. 2)Feeding system carries the preforms by robot arms automatically. 3)Infrared oven heater adopts the quartz lamp to heat the PET tube. 4)Fully automatic process with low investment, high efficiency, quick and safe for operation, easy for maintenance. 5)We have perfect service after sales .